We’re lit! Neopixil go time! This is a shot before I added the outer part of the vest which covers the wires, and before I sewed on the data lines. You can see they are held on by pins. I’ll try to capture a video today to show you how we’ve programmed the lights to change, and I’ll do a follow up blog with the details of how we made decisions and problems we overcame. 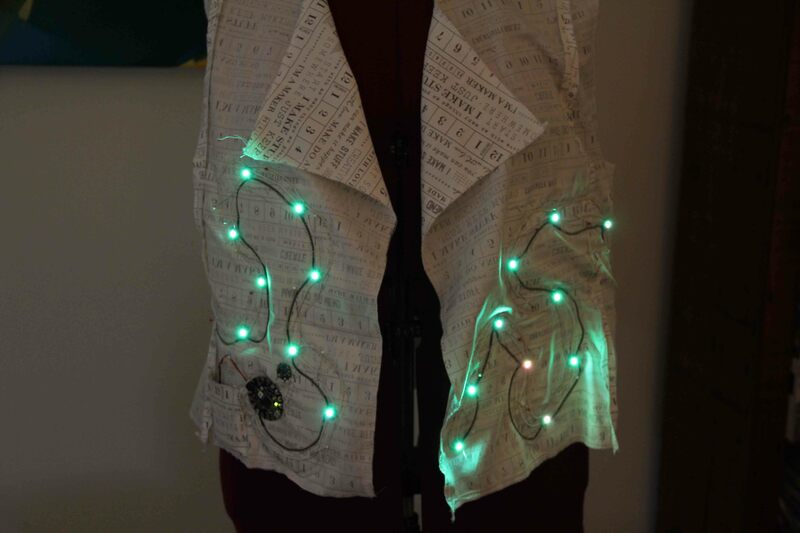 This entry was posted in Creativity, DIY Wearables and tagged adafruit, DIY wearables, neopixel by edges. Bookmark the permalink.